Call (602) 485-9924 by noon on Thursday to Pre-Order Your Fresh Pasta Rea Pickup Every Saturday! 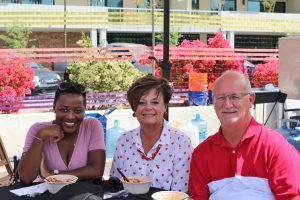 Serving fresh pasta bowls at the Italian Festival of Arizona for the third year proved to be another exciting experience! 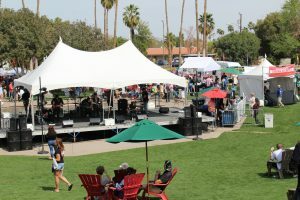 Music, food, wine, beautiful weather. . . . all the ingredients for a great weekend! With such a great selection of Italian food, we were thrilled to sell hundreds of fresh pasta bowls: gigli, rigatoni, and lumache with a choice of bolognaise, alfredo, pesto, and marinara sauce. And of course, our famous lasagna (both bolognaise and spinach mushroom) was on the menu as was our gluten free eggplant parmesan. Oh, and meatballs too!! 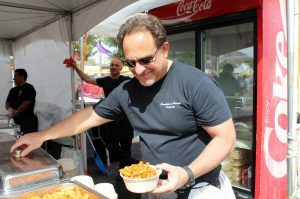 Needless to say, we were cranking out the fresh made pasta like crazy on Friday for we not only had the Italian Festival, but 3 Farmers’ markets as well. We not only produced hundreds of pounds of fresh pasta, but also prepared 40 pans of lasagna and eggplant parmesan. 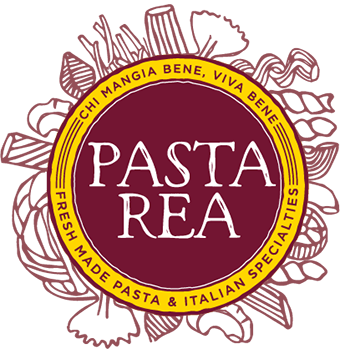 We are so pleased to be offering FRESH pasta here in Phoenix, and now have many loyal fans and clients who purchase Pasta Rea at the local markets or pre-order for pick-up at our kitchen. Serving close to 1000 pasta bowls over the course of 2 days could be challenging for even the most experienced caterer, but with our 22 years of catering experience, we know how to prepare for events in terms of quantity, preparation, organization, and how to staff appropriately. And, the Italian Festival was not the only event for us over the weekend. We also catered an Awards Gala, a wedding, and a fundraiser. We love the activity, our staff prepares and serves happily, and each event is a new experience. If you’re considering a catered event in the near future, we highly recommend an Italian menu with our fresh Pasta Rea pasta. It’s a great way to introduce fresh pasta to friends or colleagues. You might consider a pasta “bar” with a choice of pastas and sauces. We can create a unique menu sure to please and impress any Italians in attendance. . . even Aunt Maria!